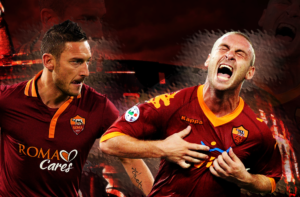 Roma on Friday, February 7, their last match before re-screening in the Champions League of Europe. As part of the schedule of the twenty-third round of the Italian Championship in its 2018/2019 season will face the Chievo. The match will be held at the Marc’Antonio Bentegodi stadium in Verona. The kick-off was scheduled for 17:30 (Brasília time). 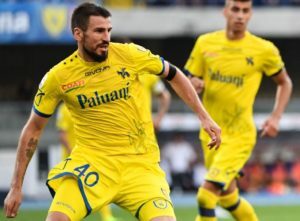 With each round that passes Chievo confirms the expectations created since before the ball rolled in the current season of Serie A, that would end up being demoted to Second Division due to its economic problems. Problems in his balance sheet, including, caused the loss of three points by administrative decision of the Italian Federation and caused the club to get negative score for much of the first round.This obstacle the team of Verona even managed to overcome, but at no time left the twenty – last – position in the table of classification of the Italian Championship. With nine points (one win, nine draws and 12 losses), they started the day’s 23rd-ranked race nine points behind Empoli, eighteenth and first out of the sticking region.Although his future was not the most promising, he was the protagonist of some brilliance in the season, for example, the tie in the first round with Roma. Although the base of comparison is very low, it has shown a recent evolution. 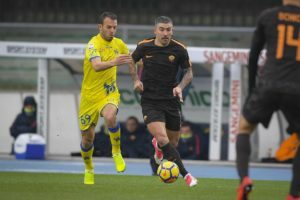 In the last ten games of Serie A, he scored in seven (one win and six draws).For the meeting this Friday, coach Domenico di Carlo has two doubts regarding medical problems. Andrea Seculin (two appearances in the 2018/2019 Italian League season) and defender Nenad Tomovic (nine games, one goal) are in the infirmary. This Friday’s game is certainly the least of the worries of Roma coach Eusebio di Francesco. Not that your team does not need the result. Need. Is very. After all, with 35 points (nine wins, eight draws and five losses), the capital team finished the twenty-second round in the sixth position, the last to concede a continental tournament.Also it is a place in the Europa League. Little for the investment made by the team in signings and for its two consecutive seasons in the fight for the Champions League of Europe. However, the great concern of Di Francesco is even the game next Tuesday, February 12, against Porto. It opens the eighth round phase of UCL (Uefa Champions League).After all, the performance of Rome in this tournament is that it has prevented the coach from being unemployed. It was like this last year. Roma did not display good football in the Italian League but managed to reach the Champions League semifinals. This not only managed to contain the protests of the fans, who asked the head of the coach, how to ensure his stay for another season.In the first half, the demands for his dismissal were even more intense, but with each stumble of the Italian Championship, a good result at UCL calmed the situation. If it were not for the proximity of the match against Porto, most likely the 7-1 defeat at Fiorentina, which caused the elimination of the Italian Cup team on 30 January, would have put Di Francesco in the line of unemployment insurance.Now, his challenge to keep the post is to overcome Porto, since even after the disaster in Florence, the team did not react in the Italian Championship. In the previous round, at home, was in the tie, by 1 to 1, with Milan.For Friday’s game, medical casualties should be three. They are in treatment of injury the defender Juan (11 games in season 2018/2019 of the Italian Championship, a goal); and midfielders Diego Perotti (four games, one goal) and Cengiz Under (18 games, three goals). Roma have not lost to Chievo for 11 games. In the series, started in 2013, were seven wins and four draws. The most recent meeting, in the first round of the Italian Championship 2018/2019 edition, finished in equality of 2 to 2. The absolute lack of dedication that Rome has demonstrated in the Italian Championship added to the fact that the team is on the eve of rejoining the Champions League of Europe opens the opportunity for a risky guess at this Friday’s meeting. The prognosis in Chelsea’s success is an opportunity for those pursuing bigger profits.